← Which Medication Reminder Is the Smartest? Sticking to a routine of light walking or jogging for at least 10 minutes a day can already contribute to your health and wellness. Keeping healthy can start from with a great sanitation at home, all the way to having a good nutrition. Having a list of things to do that can keep us active throughout the week can maintain our body’s overall blood circulation and performance. When we have more energy, we can be healthier because of the time to prepare healthy meals and have the energy to go out for a walk and enjoy the company of our friends. When we live healthy lifestyles, we can enjoy more family events and be more present in community activities. We can join groups who promote wellness and productivity and we can even join fun running with our friends and family because we have the energy. Even seniors 60 and over still participate in walkathons and have become inspirations to people around them. 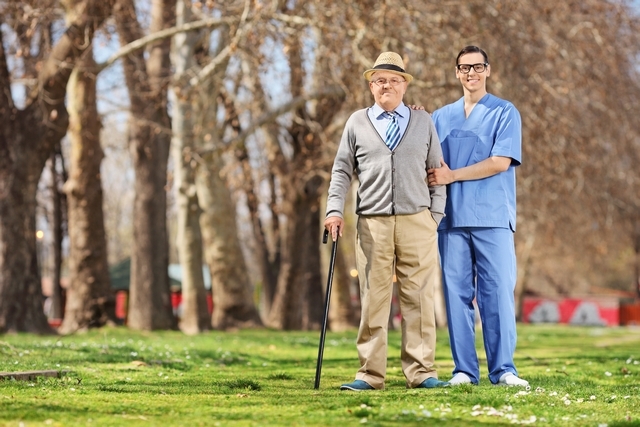 Walking for seniors is highly beneficial in keeping their bodies productive. This can help them maintain a good heart and strong muscles that will continue to give them fast reflexes so they can be more in tune with the things that went on around them. It also greatly improves their self-confidence because their strength and capability afford them to perform activities that most seniors their age can no longer do since they require Home Care Services. Healthy senior bodies that are light on their feet mean they have fast responses and are less prone to mental illnesses. Mental illnesses can be caused by a reduced blood flow to the brain where necessary oxygen and nutrients carried by the blood are no longer delivered for needed brain functions. By walking and keeping active, your heart gets to pump blood faster to carry the needed oxygen and nutrients to all the parts and organs of our body. When our body is well supplied with these good nutrients, we can keep our immune system up so we can fight off disease and viruses. Our programs and services for Non-Medical Home Care in Winter Haven FL help sustain good nutrition and fitness for your loved ones in recovery or care. We can help design a care plan that will meet the requirements of our patients so we can always secure what is healthy and best for them. Discover how daily walks can improve your health and let Compassion Home Care guide you on your way to wellness. Where do you usually go out for walk every day? Share your insights in the comment section. This entry was posted in Senior Health Care and tagged Caregivers, Chair Exercises, Companionship, daily living activities, Home Care Services, Non-Medical Home Care, Walking. Bookmark the permalink.